oregon or pnw food gifts? As I mentioned earlier, I’m co-teaching a Gifts from the Kitchen class for the MFPs, in conjunction with Lane Community College, this October. As we’re preparing our materials for great gift baskets for the holidays, I thought I’d ask for more ideas. What kinds of Oregon food gifts do you bring to people out of state? What food represents the Willamette Valley, Oregon, or the PNW to you? Is it jam, fruit, candy, vegetables? Do you bake any special Oregon treats at the holidays? Do you have any particular food gifts you give from local Eugene companies? I’d love to hear from as many people as possible, so I can present a comprehensive list. Thanks and have a great Labor Day weekend: don’t work too hard! I’ve posted enough about my dislike of lettuce, I think, but there are a few ways in which I really love it. BLT sandwich is one. Who wouldn’t like thick, peppered bacon, a quarter-inch slice of juicy August tomato, and a handful of crunchy bittersweet lettuce, layered on a slice of fresh bread slathered with homemade mayonnaise? Heaven. Our tomatoes are having a weird season, and the heirloom long-season slicers and paste tomatoes are coming in before the short-season slicers. The cherries suffered early in the summer, but came back to set fruit by the bucketful on the tops of the plants, so now I have more Supersweet100s, Sungolds and Yellow Pear cherry tomatoes than I can eat. So I thought I’d slice up a bowlful and make an excuse for a salad. 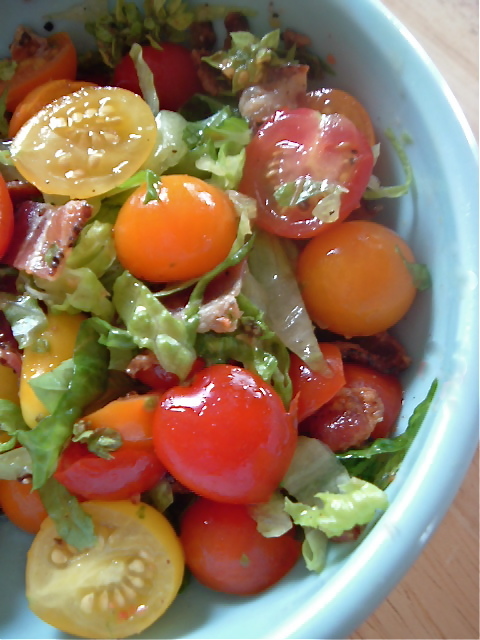 Cut tomatoes in half and toss with bacon, olive oil, vinegar and salt and pepper. Mound lettuce and basil on top of dressed tomatoes, then bring to table. Toss immediately before serving, since lettuce starts to wilt in the dressing. Die of pleasure. Choose whether you will leave leftovers as your legacy before doing so. This can only end in heartbreak. I just want you to know that I know. But until then, I am obsessively attached to my single volunteer pumpkin, the darling that grew from a seed dropped by a squirrel in an unused corner of my yard. It’s now showing a bit of orange, a harbinger of bittersweet fall. If you’re like me, you now have a cupboard filled with jams, pickles, and vinegars waiting for the holiday gift-giving season. If you’re not like me, you have batches of cookies and sweet breads planned. And if you would rather not be burned by a hot jar or jelly roll pan, but still want to give delicious goodness in pretty packages… I have the class for you all! As part of our fundraising efforts, the Lane County Extension Master Food Preservers are holding a three-day class called “Gifts from the Kitchen,” on making and packaging food gifts for the holidays. I’ll be organizing and co-teaching the class with another MFP, Jennifer Martin, who has an excellent design sense and great ideas. It will be held on October 8, 22 and 29, from 5:30-8:30 p.m., at the Extension building next to the Fairgrounds in Eugene, and it is being offered through Lane Community College. The fee for the three-part class is $95, which includes materials. We are still in the planning stages, but we know for sure that the class will include hands-on workshops on wrapping baskets and jars, instruction on making herbal jellies and lemon curd, and drying your own soup mixes. 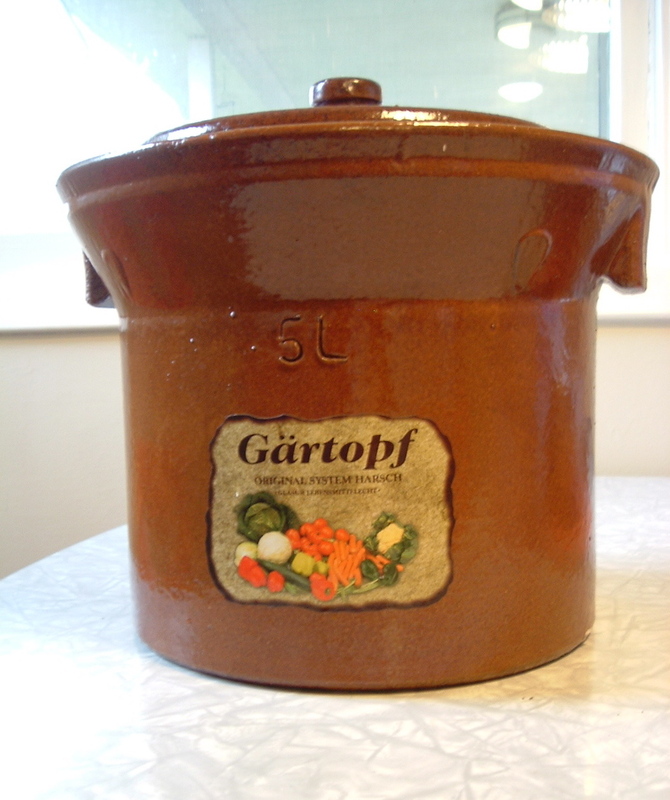 We have scheduled the cook who makes the artisan jams at Marché Provisions (also a proud MFP!) to help out with pointers on making unusual jams. Also under consideration is how to make the perfect Made in Oregon basket, foolproof fudge, what to do with 25 pounds of almonds, Italian soda syrups, and delicious additions to tea and cocoa. I’ve found that these types of classes attract a wide range of expertise, and I guarantee you’ll learn just as much from the other students as you will from us, so this class should be fantastic. If you’ve always wanted to give food gifts for the holidays, please join us! Get a jump on the holidays by learning to make your own gifts. The class series will include unique fruit spreads, herbal and pepper jelly, home canned pie fillings, lemon curd, flavored vinegars and oils, and homemade liqueurs. Soup and drink mixes will also be included. The class will include how to decorate jars and make theme baskets for year around gift giving. Supplies included. No class on 10/15. This class is offered through a partnership with the Oregon State University Extension Service. preserving green class a hit! Yesterday’s “Preserving and Cooking Green” class went really well, and now I’m even more excited about the upcoming “Tomato Tango” class on September 20. Everyone in the class was presented with a booklet of hand-selected recipes and food safety handouts, and Hentze Farm generously provided the vegetables. After a full-class lecture about canning principles and examples of making sauerkraut and packing green beans, the class broke into small groups to do pickle workshops. 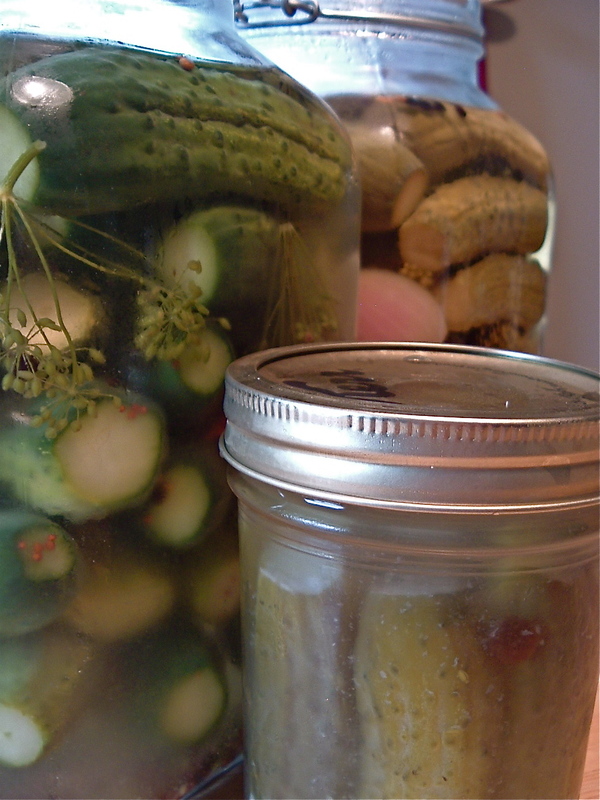 Everyone had a chance to practice making bread-and-butter pickles, kosher-style dill pickles, or dilly beans under the guidance of veteran Master Food Preservers. Maybe next year we’ll see their cukes at the Fair? freezing sweet corn, squash, and green beans. Two MFPs manned (womanned) frypans, cooking up zucchini-and-carrot fritters and zucchini pancakes, respectively. There were two versions of fried zucchini (and fried green tomatoes, yum) and stuffed, baked zucchini. Tzatziki dip accompanied dried zucchini chips. For dessert? We had already had two kinds of zucchini bread as a breakfast snack, so we needed…zucchini chocolate cake and zucchini cobbler, the latter of which tastes remarkably like apple. In between, we tasted sauerkraut chowder, a Hungarian-ish pork goulash sauerkraut soup, several kinds of pickles, sauerkraut salad, and god knows what else. The high point of the class for me was overhearing someone say she had waited 50 years to learn how to do these things. That’s 50 years too long, if you ask me! This program has changed my life, and I honestly believe it can enhance the lives of all of our local cooks. The class was a mix of generations, and there were just as many young granola-types as there were middle-aged housewife-types, with some yuppie Slowfooders in between. That’s what I love about the MFP program; learning to preserve your own food reaches across the breadth of Eugene’s distinct populations. And a quick poll at the end of the class showed that everyone felt they had received their money’s worth. So that’s what you missed. But I have good news for you. I promise, absolutely promise, that the tomato class on September 20 will be even better. We’ll feature tomato variety taste-testing, and how to preserve your garden bounty by drying, canning, and freezing. We’ll be demonstrating salsa making and many ways to use up your green tomatoes. The class will held at the Extension office next to the Fairgrounds. Early registration is $40 a person, $75 for couples, and at-the-door is $50 a person. Spaces are filling up, so please call 541-682-4246 to register soon! We’d love to have you join us, and keep in mind that this could be the last class of its type offered by the MFP program. We may not have the funding to maintain this level of service next year. Don’t miss your opportunity! 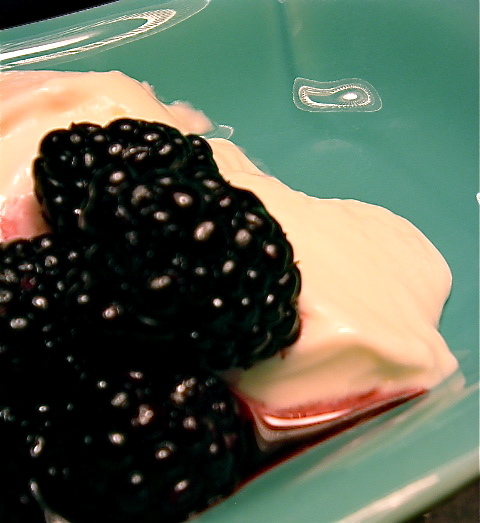 Now that the rains are back, you didn’t think I’d leave you high and dry about the panna cotta with blackberries, didya? This recipe is so simple it’s almost a non-recipe, if you just have time the night before to make the panna cotta and the syrup. Imagine a silky, milky custard that coats your mouth like sweet, thick, slightly sour cream. If you haven’t tried making panna cotta yet, it’s a breeze, and a perfect base for fresh fruit in hot weather, since you only have to heat up the cream to a simmer. Mario Batali’s panna cotta recipe with goat milk yogurt is floating around the internets tubes, but I find it to be a bit, well, gamey with the yogurt and what seems like a gallon of vanilla. I love you Mario, you know I do. You know I really, really love you and felt my heart crumble when the Food Network replaced your show with smiling skulls with raucous voices and ghastly quick-cooking abominations. But I like the purity of my sour cream-no vanilla panna cotta better. I use our delicious local dairy products: Noris Dairy cream and Nancy’s cultured sour cream, which is thicker and a bit tangier than the Noris version. 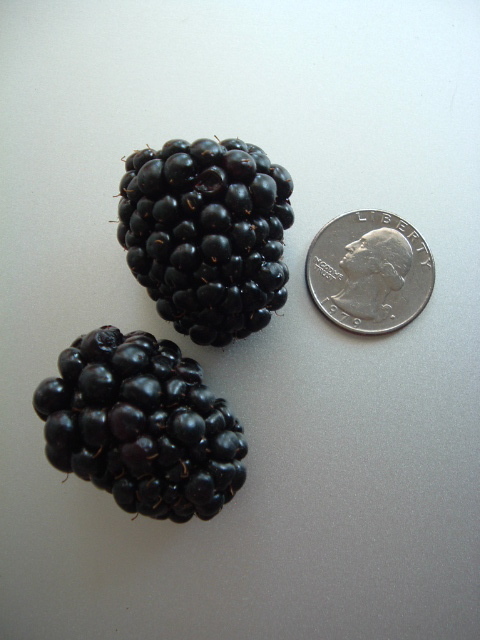 Then I turn to Lone Pine Farm’s gigantic, sweetsour blackberries, whose variety is, as the kid behind the counter told me, “blackberry.” They’re not Marionberries, since that season is over, and I suspected they were Chesters, but that’s not right, either. If you have a chance to get over there and find someone who actually knows something, please let me in on the secret. 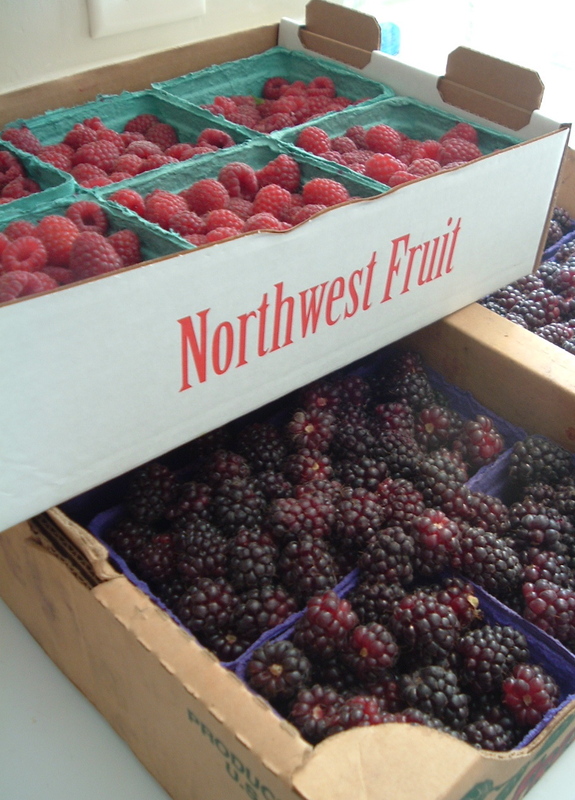 More importantly, everyone should know that our blackberries never, ever end all summer long. Can you imagine?! And finally, Jeffrey Morgenthaler’s Pinot Gris syrup. He uses it to make a lovely drink at Bel Ami called the East of Eden; I use it in jam and fruit preparations West of Willamette Ave. If we had a battle for deliciousness, he’d probably win because the judges would float into the sky, head in the stars, caressed by the rosy fingers of dawn. I’d pelt them with blackberries, though, and down they’d fall, a Pyrrhic victory of Willamette Valley proportions. 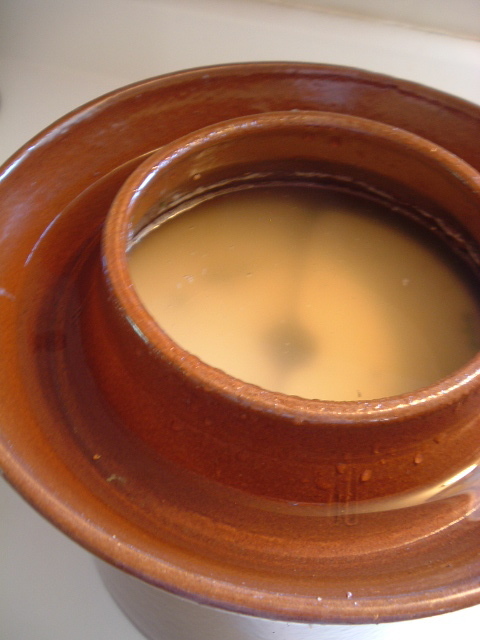 Combine gelatin and water in small bowl. Let sit for 5 minutes to dissolve. 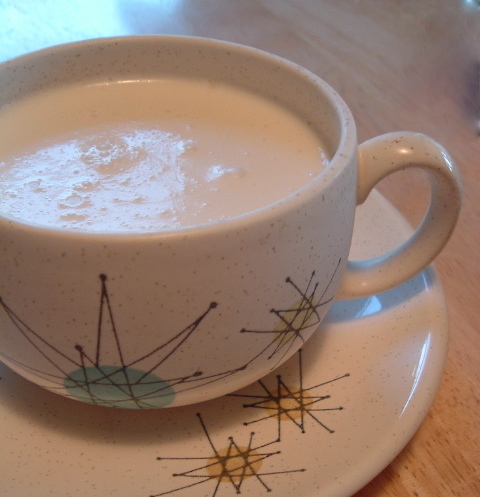 Whisk sour cream and one cup of the cream in bowl until lumps dissolve. Bring the remaining one cup of cream and the sugar to simmer over medium heat. Stir to melt sugar frequently. Add the gelatin mix, whisking rapidly, until it dissolves. Remove from heat and combine with cream and sour cream mixture. Pour into ramekins and chill overnight. Crush about one cup of blackberries in a small bowl. Add pinot gris syrup and dash allspice. Carefully toss with remaining blackberries in large bowl, and let macerate in refrigerator for several hours before serving. Turn berries every few hours. Garnish with wild blackberry flowers, if those damn brambles keep coming back in your yard, no matter what you do. Keep this in your refrigerator for a fragrant alternative to simple syrup. Our local Sweet Cheeks Winery‘s 2006 Estate Pinot Gris is particularly nice for drinks and desserts, since it has bright, summery stonefruit flavors. Reduce wine by half in a saucepan over medium heat. This will take a while. Stir in sugar and cook until liquid is clear. 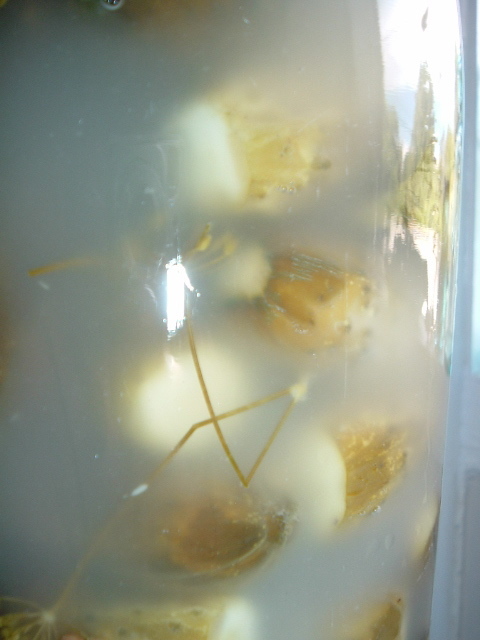 Let cool, and keep in a sealed jar or bottle in the refrigerator. Keeps for at least a few months, as the sugar is a preservative.